Finding and Appreciating Your Roofing Underlayment - Sturdy Home Improvement Inc. It pays to take some time to learn more about your roofing system, especially if you’re about to embark on a roof replacement project. Having a cursory knowledge of what your roof is made up of alongwith their functions can help you make better decisions throughout the process. Here are some notes from our Sturdy Home Improvement team to help you get more acquainted with how your roof works, specifically, what your roof underlayment is and why it is crucial to keep it in top shape at all times. Your roof is so much more than just a bunch of shingles laid out over the top of your home. The underlayment is among the hidden parts of your roofing system; the more visible ones being, the shingles, the chimney, flashing and drip edge, as well as the gutters and downspouts. All these components are supported from underneath by the roof decking which is your system’s base. Between the decking and your shingles, providing an additional layer of protection, is where you’ll find your underlayment. 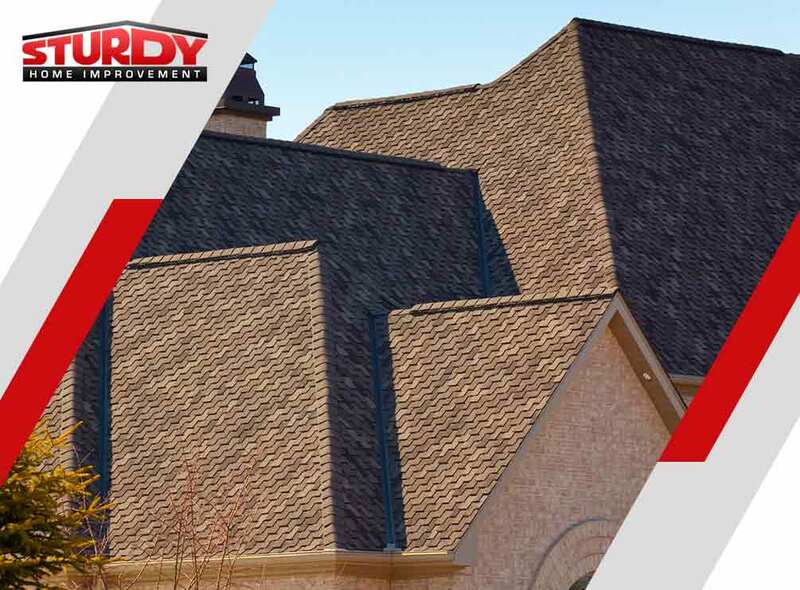 At Sturdy Home Improvement, we believe that good installation work is crucial in keeping your roof functioning well throughout the years. This is especially true in protecting your home from moisture damage. Proper window, siding and roofing installation are all geared towards avoiding moisture retention of any degree. The underlayment plays an important role in this task by acting as a barrier in the event that some amount of water finds its way underneath damaged shingles, for instance. An underlayment is also needed for a roofing system to be given a high rating for fire resistance. This is most important for homes with wood roofs and other materials that are more susceptible to fire damage than materials like metal, for example. At Sturdy Home Improvement, we believe in educating our customers in all the roofing, siding and home additions projects we handle. If you want to learn more about caring for your roofing underlayment, feel free to reach out to our team. We have been providing top-quality services over the last 17 years and are more than qualified to answer any questions you may have. Call us at (508) 948-0128 or (877) 378-8739 (toll-free). We can provide free quotes and consultations for customers located in Indian Orchard, MA.